PSG crest and colors show your team pride. 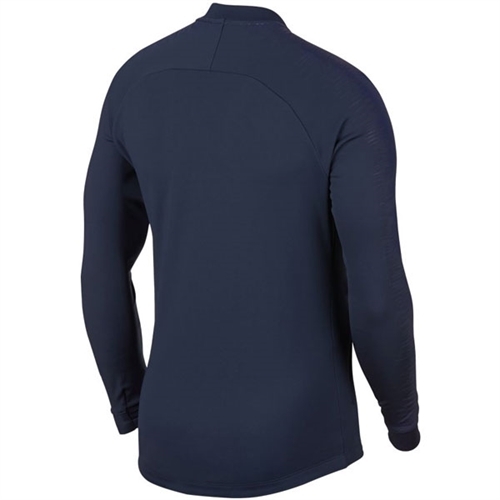 Fabric features a brushed back for pre-game comfort. "Invisible" thumb loops remain concealed when not in use. Full-front zipper provides easy on-and-off. Zippered side pockets provide convenient storage. Bomber-style collar and cuffs are ribbed for a close fit. Sleeves are printed with flexible silicone ink that stretches with the fabric. 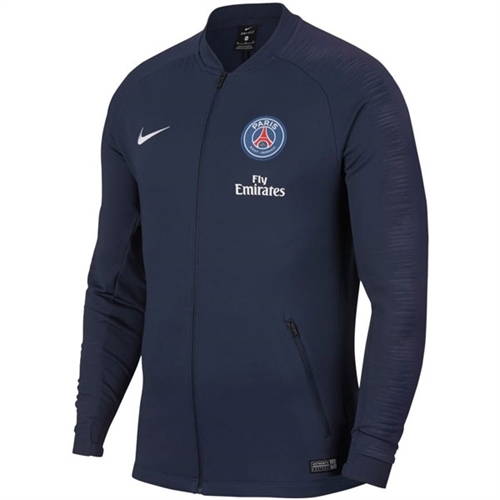 Our Nike Paris Saint-Germain Anthem Jacket 2018-2019 brings comfortable brushed fabric and flexible silicone-printed sleeves to your pre-game routine.